I get a craving for chicken wings every so often and when I see a clubpack in the grocery store I just have to pick them up. 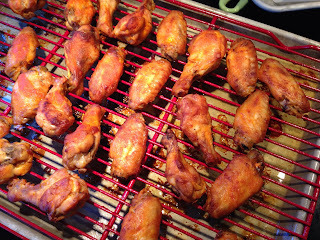 Here is a recipe for delicious, crispy baked chicken wings that are good for a Whole30. Preheat oven to 400F. Place split wings on a lightly oiled baking rack set in a baking sheet skin side down. Bake for 25 minutes to start to render some of the fat and release some moisture. Remove from oven and toss the partly cooked chicken wings in a large bowl with 3 Tbsp of melted coconut oil. Return to baking rack, skin side up this time, and bake for 20-25 minutes until just starting to brown. 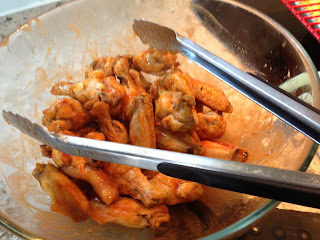 Remove from oven again, return wings to the large bowl and toss with 1/4 cup of hot sauce. Return to baking rack, skin side up again, and bake for 20 minutes until the sauce seems set. Toss in bowl with another 1/4 cup of sauce and eat while warm. 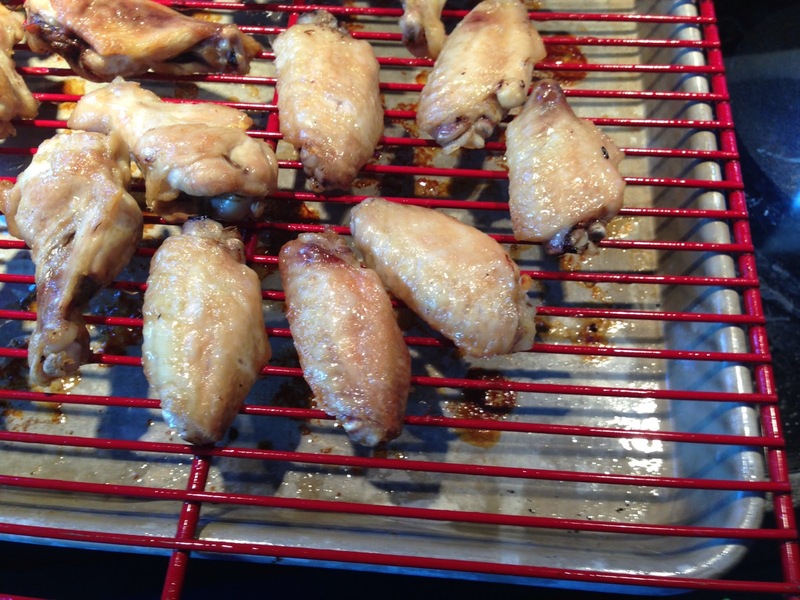 If you have any extras, they are great reheated in the oven the next day.